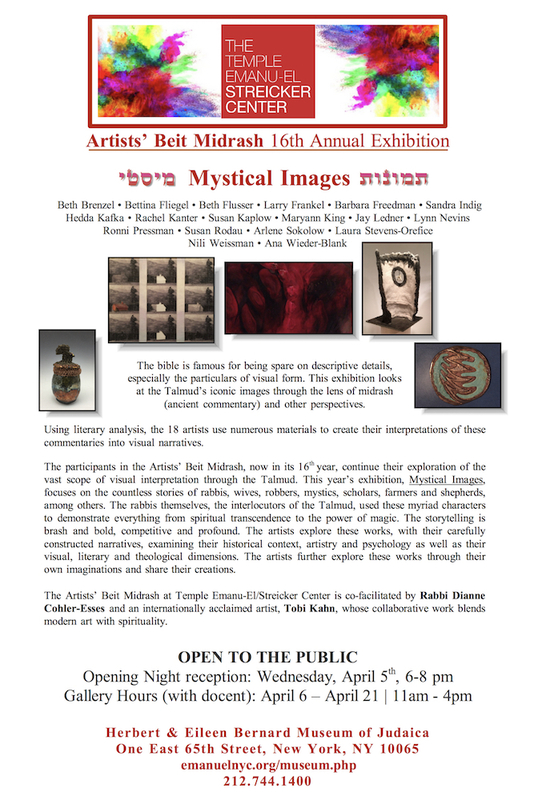 The Artists Beit Midrash at Temple Emanuel / Streicker Center culminates this year in the exhibit “Mystical Images”. Co-Facilitator / Curator Tobi Kahn. Artists Barbara Freedman, Larry Frankel, Sandra Indig, Rachel Kanter, Susan Kaplow, Arlene Sokolow.